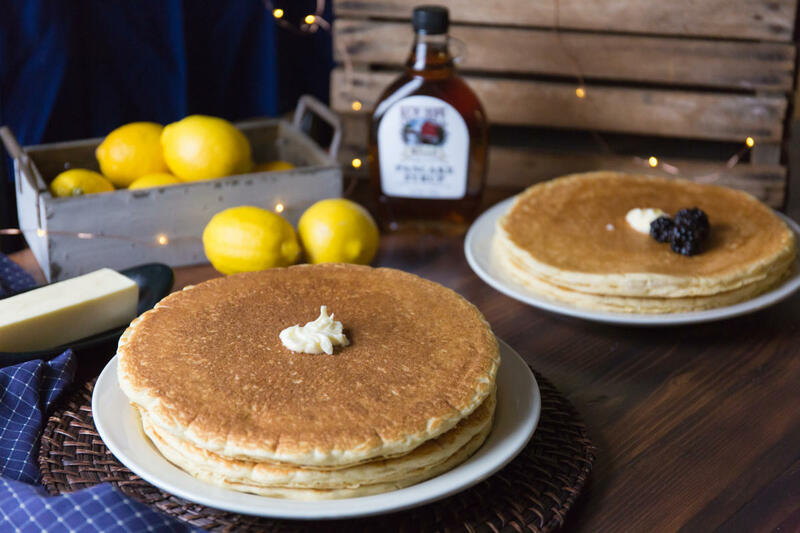 Located in the beautiful Fingerlakes region in Auburn, NY, New Hope Mills has been making quality pancake mix since 1823. 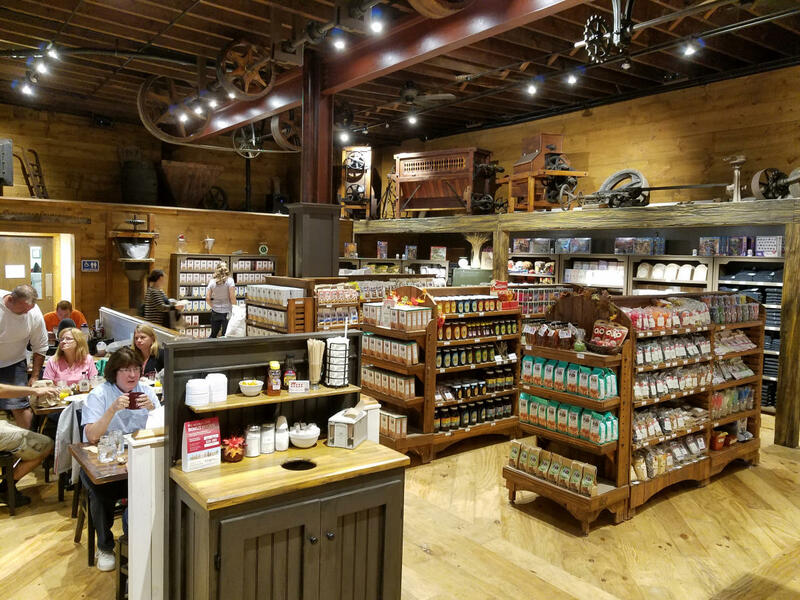 Family owned and operated for three generations, New Hope Mills is New York’s favorite pancake mix! Our newly renovated Store & Café represents both our story and our brand. We hope you’ll enjoy our quality food and products! Enjoy the aromas of fresh, locally roasted coffee while relishing in the historical ambiance of our Store & Café. Order up some New Hope Mills Pancakes, but be careful, they will most likely cover your plate! Bacon is served crispy, extra crispy, or extra, extra crispy, your choice. Looking for lunch? 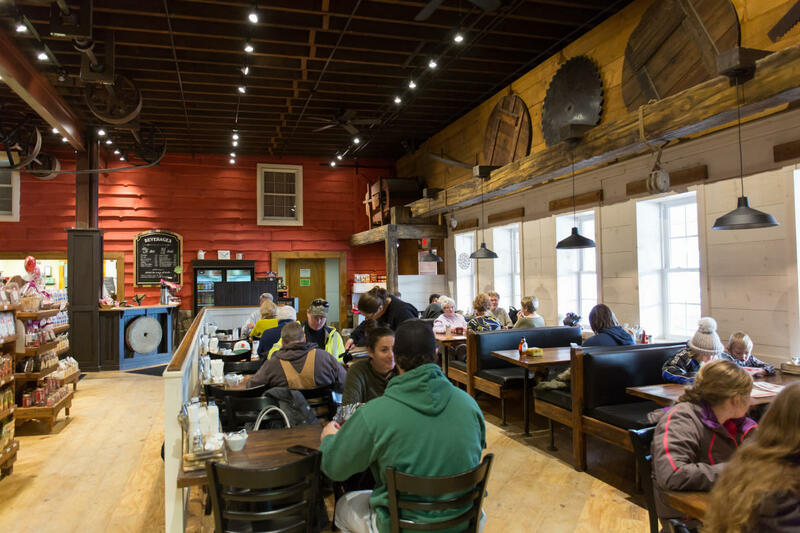 Try some of our lunch items that cleverly include New Hope Mills Pancakes. Believe me, it’s all delicious! 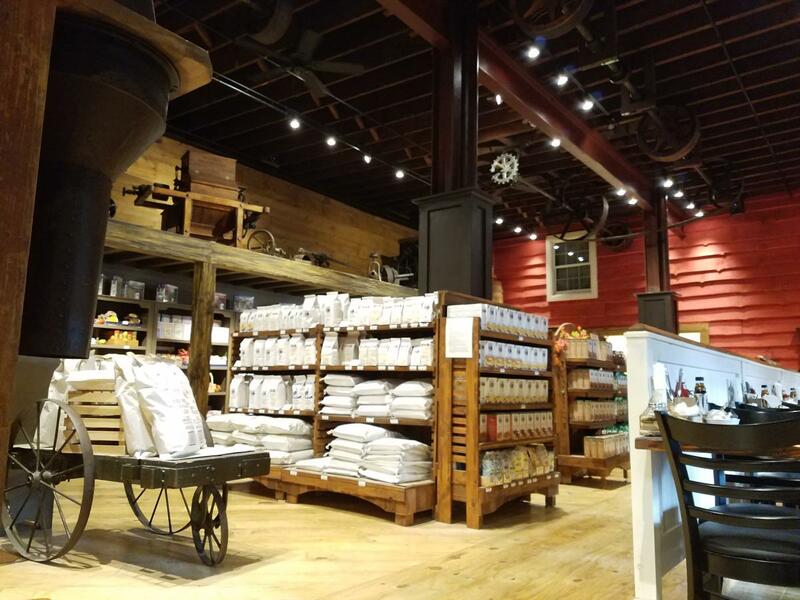 Visit our year-round store in Auburn, NY. It is also the location of our manufacturing facility where we make all our New Hope Mills pancakes mixes. There is a little bit of everything lining our store shelves. Surrounded by antique milling equipment and natural wood features, the atmosphere conjures a flare of nostalgia. With country distinctions and quality products, you will find yourself walking back in time. 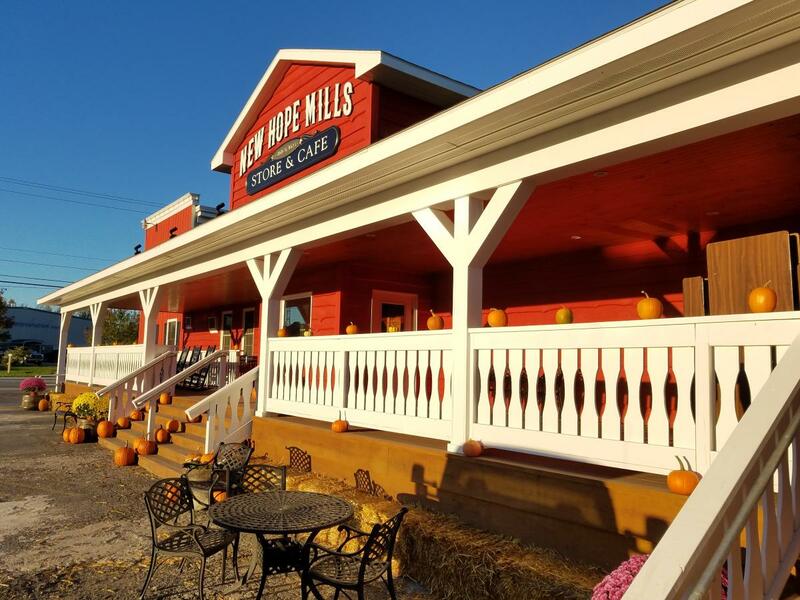 New Hope Mills invites local musicians from around the area once a month for our “Music at the Mill” series. Guests enjoy a specialty gourmet menu for each Music at the Mill. There is no cover charge. So, like us on Facebook to receive updates about these events. Tour Busses Welcome! We are eager to serve large groups visiting the area. 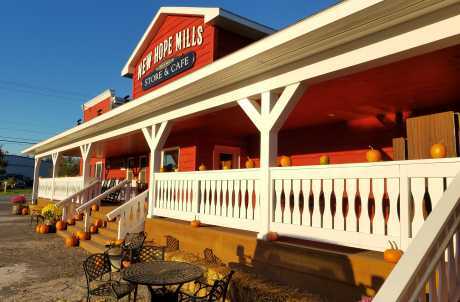 Get more information at facebook.com/newhopemills The Store at the historical Mill site in New Hope, NY is seasonal. Please 315-252-2676 call for more information.